If you are eager to make your name in the sport industry as an administrator or as a coach, you can save time and tuition as you step up your game through the Five-year Bachelor/MS in Sport Leadership and Coaching program. Western New England University, a trailblazer in sport management and leadership education now offers this game-changing combined degree program to qualifying students in any program at the College of Business. Why Choose Five-year Bachelor/MS in Sport Leadership and Coaching? The Five-year Bachelor/MS in Sport Leadership and Coaching is ideal for students seeking to enter athletic administration (educationally-based sport organizations), athletic coaching, or managerial positions within any sport organization. In this accelerated program, you will learn to build and manage your team, assess and recruit talent, and create a high performing business enterprise that supports organizational and individual success. The program is offered through the Western New England University College of Business which is accredited by AACSB International. This 30-credit program blends online/optional on-campus learning with two required one-week residencies held on campus, enabling you to start your career as you complete your master's degree. The challenging curriculum focuses on expanding your leadership capabilities in a multifaceted, practical way, offering two cohort tracks—Athletic Administration and Athletic Coaching. The Program Codirector Dr. Bob Klein is a nationally respected leadership expert and the creator of The Klein Group Instrument (KGI®), an assessment designed to help people develop skills and strategies essential to maximizing performance in the team-based envi- ronment, including relationship building, stakeholder management, and conflict resolution. Dr. Klein works closely with Western New England University’s varsity teams to help students find success on and off the field. As a candidate in the MS in Sport Leadership and Coaching program you will learn firsthand how to utilize the KGI® to get the most out of your administrative or athletic team. You can learn at your pace—accelerate or extend your study. With four 11-week terms, you can complete your degree in as few as 15 months. If you are accepted to Western New England University for this five-year program, you will be conditionally admitted to the master’s program. Successful completion of a baccalaureate degree and scores from the Graduate Management Admission Test (GMAT) are required. If you maintain at least a 3.30 GPA in your undergraduate program, the GMAT requirement will be waived. Our stellar faculty from the Department of Sport Management includes professors with years of experience in the sport industry, including an MLB sport agent/attorney, a professor who formerly worked with the U.S. Olympic Committee and the NCAA, an active sports arbitrator, an expert in collegiate and high school sports, and a veteran of professional sports and sports facility and event management. Their mentorship and industry connections make them a valued resource for both students and our highly connected sport industry alumni. Paired with national leadership expert Dr. Bob Klein, creator of The Klein Group Instrument (KGI®), they're a winning combination. Regardless of the direction of your career in the world of sports, the Master of Science in Sport Leadership and Coaching will help you achieve your goals. With a combined focus on both business and sport management, you’ll have the ability to do anything from managing a team to building your own sports enterprise. This 30-credit program blends online/optional on-campus learning with two required one-week residencies held on campus. Master’s candidates begin the program with a six-day summer residency prior to their senior year, followed by online/optional on-campus study spread over multiple terms, concluding with a second summer residency and remaining program requirements. 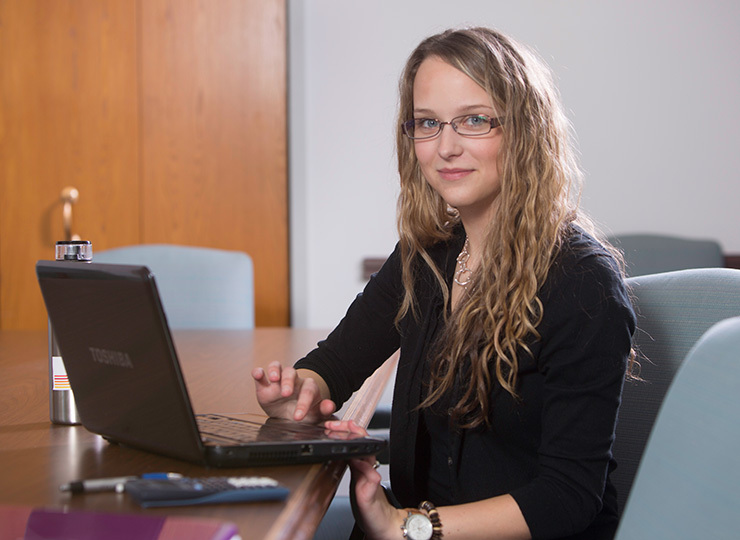 This format enables you to start your career as you complete your master's degree. Don’t just watch the world’s biggest games, study them in person. MS in Sport Leadership and Coaching graduate students are offered opportunities to engage in study linked to sporting events and facilities, including travel courses offered in tandem with the Olympic Games and FIFA World Cup which are offered every two years through the University’s Center for International Sport Business.